Class 3 is the turning point of childhood. The Class 3 and 4 child feels themself growing apart from the world – separate, independent – and this brings about an interest in anything practical. Therefore, the Steiner curriculum gives Class 3 children practical cooking and gardening experience. Interwoven into the Kitchen Garden Program are the skills of measurement, time, co-operation, seasonality, fractions, vocabulary, sequence, creativity and communication. The program is very dynamic and each week is inspired by seasonal, local produce. The menu is often chosen by the children. During the summer, the children wanted to make ice cream, and, who wouldn’t? We had previously been given a box of very ripe bananas which we froze for precisely such an event as ice cream!! Bananas became the base of our ice cream and the children experimented with different flavor combinations. 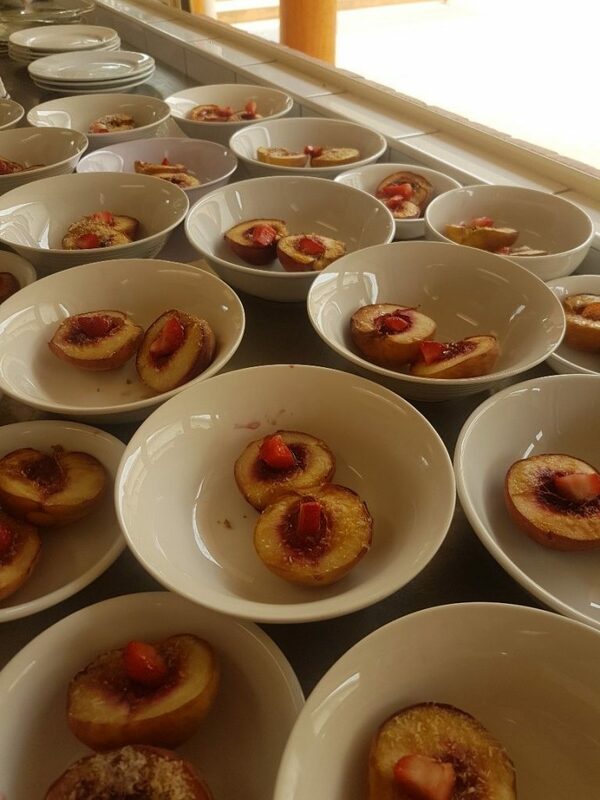 When peaches came into season, we invented a new recipe for grilled peaches topped with shredded coconut, brown sugar and whipped vanilla cream (the recipe will be in our cookbook). What I love about working with the children in the kitchen is their enthusiasm, their love of learning, their creativity and, most of all, when they offer to serve the food they have prepared to their classmates, teachers and helpers. Coming up in our Kitchen Garden Program we will be creating an Autumn Festival to share with parents and carers. 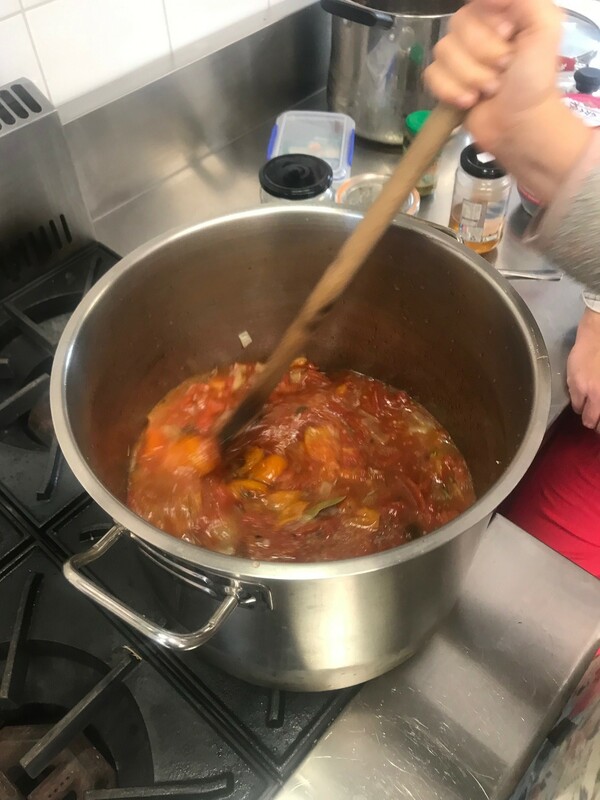 We will be serving Pumpkin Curry Soup, Apple Crumble and a fresh Garden Salad – menu created by the children themselves. An integral part of the Kitchen Garden Program is the volunteer parents. So much more is possible because of the effort, love and experience brought to our day by the parents and grandparents who join us. If you want to do more with your children in the kitchen and garden at home, you could get some great ideas from these websites…. This week Jason and James have finished the potting shed. This means that the children can not only grow seedlings for use in our school garden, they can sell them at the Mumbulla Market and the Kitchen Garden Programme will go some way to funding itself. Thanks to the J team! Click here to download a copy of the 2019 Term Dates.